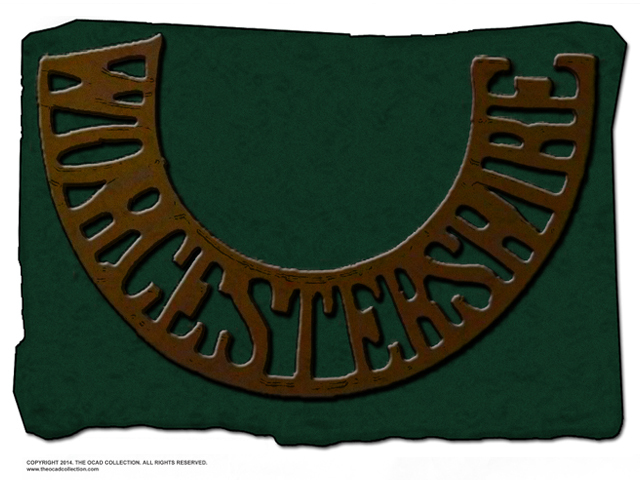 The Worcestershire Regiment green diamond hat and helmet patch, 1900 to the 2009. The use of distinctive flashes worn on helmets and hats is generally considered a practice associated with the Second World War, however it is an occurrence that dates back to before the First World War and which still continues among certain regiments. Without conducting an in-depth study it is unclear as to when precisely the use of such patches first began, but we do know that a square helmet patch with a metal Worcestershire slide was worn on the left side of those helmets used by the Worcestershire Regiment during the Second Boer War, around 1900. Between 1908 and the 1920s this square patch became an emerald or grass green diamond flash without the addition of the brass slide. It may also be the case that the green flash was worn on the hessian Mk.1 helmet cover during the First World War, although the lack of period photographs cannot support this for certain. During the inter-war period and early into the Second World War, the green diamond was worn on the Wolseley helmet. 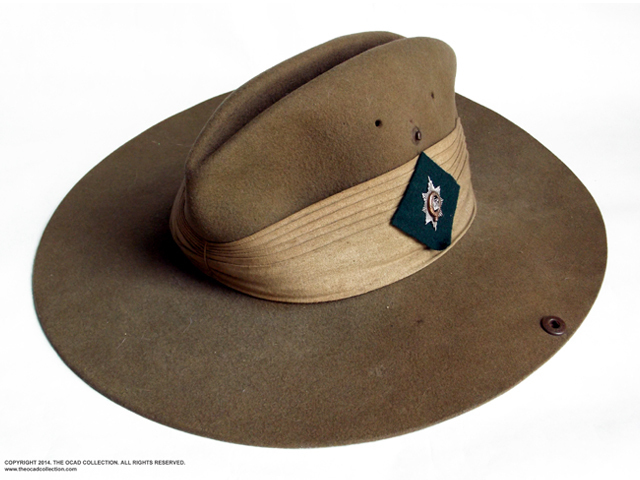 Indeed regulations from the first year of the war specify a green diamond patch, measuring just under 4cm x 4cm, to be worn on the puggaree band of the newly introduced Khaki Solar Pith helmet. ​As the Second World War progressed the use of Slouch hats in the Far East became more predominant, replacing for the most part the “colonial” pith helmets, especially where jungle warfare was concerned. The advantages of this flexible style of felt hat at providing good sun protection and adequate rain protection was obvious. Perhaps the use of the diamond patch on the Slough hat came from those fortunate survivors of the original 1st Battalion who fought so bravely at Tobruk in 1942, where some officers took to wearing a slouch hat with a grass green patch and badge on the upturned brim. However, it seems more likely that the practice was a natural cross-over from the pith helmet. On such hats the diamond patch was either worn on the upturned brim on the left side, or on the puggaree band, where in nearly all cases a regimental badge was worn centrally in the diamond. Often a 2nd Division crossed keys patch was worn on the right side of the puggaree band. Such characteristics have been well documented in Burma, in 1945. It is also worth mentioning that some Slouch hats also lacked the green patch and instead wore the regimental badge at the front of the puggaree. Despite the pith helmet regulations, which continued to remain in force until at least 1942, it seems there were no regulations governing the patch dimensions or indeed position regarding the Slough hat. This would lead to the assumption that the practice was dependent on the individual, and would also thus explain why the diamond patch colour varies from different examples. It is also worth noting that the emerald grass green colour shade used by the Worcestershire Regiment on its coloured Field Service caps also vary. The green diamond patch with the regimental badge was not exclusive to the Far East. In 1943 those battalions of the Worcestershire Regiment fighting in North West Europe were issued with the General Service hat, a forerunner to the beret, resembling a Tam o' Shanter in style. From 1945 onwards the Worcestershire Regiment began using the beret, with the GS hat being gradually phased out by 1950. Prior to 1948 the green patch of the beret remained diamond in shape, however after this point it changed to a square. With the amalgamation with the Sherwood Foresters Regiment in 1970 the traditional cap badge, introduced in the 1920s, was replaced by the new regimental badge, although this did not affect the way it was worn on the beret. 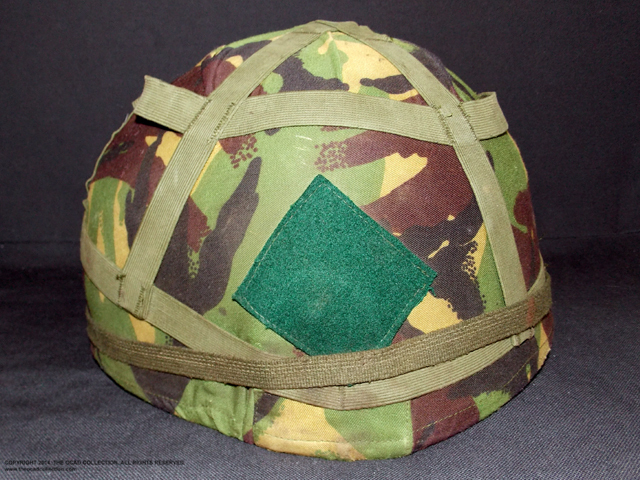 It is unclear whether the green diamond flash was worn on the steel Mk.IV or Mk.V helmets during the post war period, but by the late 1980s the patch had once again found favour on the newly introduced Mk.VI composite combat helmet, being worn on the left side of the DPM helmet cover. Similarly to those worn on the Slouch hat back during the Second World War, the fashion of wearing the flash on the Mk.VI cover seems more personal preference than regulation. In 2007 the regiment was once again amalgamated, becoming the 2nd Battalion Mercian Regiment. As in 1970 a new cap badge was approved and worn on the square green beret patch, which was specified in the new regimental dress regulations to be Lincoln green. The practise of wearing the diamond on the DPM helmet cover continued and was well documented when the 2 Mercian were on operations in Helmand Province, Afghanistan, in 2009, mostly probably with the Mk.6A combat helmet. With the introduction of the Mk.7 helmet and new DPM covers it is unclear as to whether the diamond patch is still worn, but it is interesting to note that such a practice has spanned over a century and survived two amalgamations, no doubt due to the proud heritage of the men that chose to wear it.